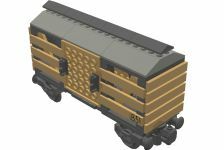 Imitation of a cattle wagon with a wooden body. Suitable for 9V, 12V or RC track. Doors on both sides can be opened and gates can be raised. 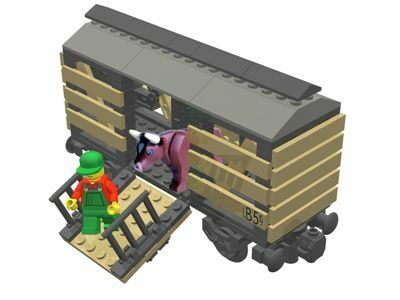 Including a brown cow and a minifig cattle driver.